Requires the latest version of the Steam beta client. When Valve released SteamVR alongside HTC's Vive headset last year, it only supported Windows, leaving Linux and Mac OS X developers on the outside looking in. 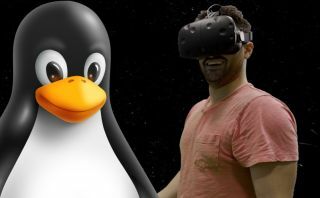 The Mac OS X camp is still out of luck, but Linux developers now have access to a development build for SteamVR in GitHub, PCWorld reports. The release is intended for developers to start creating SteamVR content for Linux platforms. At this early stage there is limited hardware support, and developers also have to contend with pre-release drivers. However, it's a start. Developers who are interested need to download the latest Steam beta client. And since SteamVR is built on top of the Vulkan API, they'll also need the latest Vulkan drivers from AMD or NVIDIA. Beyond that, interested devs can head over to GitHub for more information. In semi-related news, Valve also announced that it's expanding the availability of its SteamVR tracking solution by doing away with the pricey requirement of attending a training course. In the past, hardware makers could use and implement Valve's SteamVR tracking technology without having to cough up any royalty payments, but were required to attend a $3,000 training course. It's now free. "After working with numerous third parties and updating the tools, Valve is opening more direct access to the technology and course work, available free of charge in English and Chinese. The full, in-person training courses are still available for those interested," Valve said. Valve is also planning to sell standalone SteamVR tracking stations later this year.